Lithium is an element of nature that usually has many properties that are used in various areas for the manufacture of materials that are very useful. At present it is widely used for the manufacture of elements that are dedicated to the storage of energy. 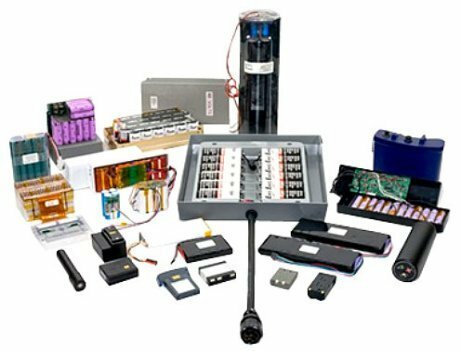 It has been given a large number of applications at present, but the most popular is carried out by lithium ion battery manufacturers who are dedicated to develop these batteries to cover various areas of a large number of companies that require their services. The different industries that tend to need lithium ion battery manufacturers share a function, which is to create devices that offer durability in the energy field. The industries dedicated to electronic consumption are those that require the use of lithium batteries. It is common to see in the list of customers companies that are dedicated to creating solutions for smart homes, toys, portable electronic devices, power tools, medical equipment, lighting, scanning products, among others. Also in the field of robotics has been enhanced and popularized the use of lithium batteries to give life to all equipment and objects that are manufactured. There are so many industries that share the uses of lithium batteries, that lithium ion battery manufacturers have long considered the creation of a custom lithium ion battery according to the requirements of the objects manufactured by customers, that is, they may vary in sizes shapes and amount of energy that are capable of storing. The manufacture of custom lithium battery packs has become popular, in this way the demand can be met efficiently to put into operation all the equipment that depends on the use of a custom lithium ion battery. Each manufacturer of Lithium batteries knows that all the equipment that needs it varies in shapes and sizes, so, together with the client, they make a study about what the real needs are, in this way they can cover them completely and create a custom lithium ion battery for each client and for each element that it makes. There are several options to meet the demand of the custom lithium battery packs of all customers, and as mentioned above, must have different applications in the industry, which is why there is currently a wide variety of batteries that are manufactured through of different processes that are applied to lithium. There are lithium batteries that surpass by many elements the traditional batteries that were elaborated based on nickel and lead, the custom lithium battery packs can be made of lithium under different processes and certain elements that are extracted from them, for example the ion lithium or lithium polymer which manages to optimize the battery charge by up to 200%; also the lithium phosphate which are derived from the aforementioned element and achieving that all the components that converge inside the battery remain stable; as well as these, there are various ways through which this element is manipulated to take advantage of its properties. Huizhou JB Battery Technology Limited, which was established in May, 2008, is a China based professional manufacturer and provides a wide range of battery types for customers. The company’s products include PDA batteries, GPS batteries, mobile phone batteries, MP3/MP4 batteries, digital camera batteries, laptop batteries, tablet PC batteries, remote control batteries, barcode scanner batteries, walkie-talkie batteries, two-way radio batteries, cordless phone batteries, server’s batteries, flash light batteries, LED light Batteries, printer batteries, headphone batteries, RC toys batteries, payment terminal batteries, power tools batteries, computer backup batteries, medical device batteries, emergency light batteries and chargers, etc.